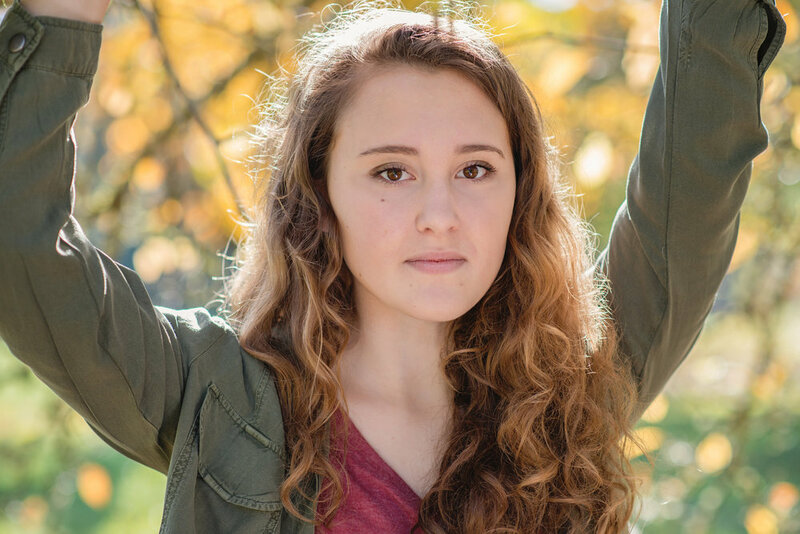 As a high school senior photographer, I really want to get to know my subjects so that when I take your picture I can capture your personality. The majority of our senior photoshoots are done in natural lighting, outdoors in the greater Seattle area. I love to capture each individual in ways that make each person shine and I have a few tips on what to wear to our senior photography session. The main thing to consider when having your Senior High School portraits taken is that you need to be comfortable. I am providing you with these tips to help you take the best photos possible but this is just a guideline. Your clothing choices are part of your personality, and your comfort is most important. When you feel comfortable and confident that is going to shine through in your eyes and will be captured in each photo taken during our senior high photography session. When it comes to colors, if you know what colors make your eyes pop, that is what you should wear. Try to avoid neon colors as they can create some color cast issues. Logos should also be avoided unless they are significant. If you are comfortable in a dress, or a button up top with a collar wear that. Patterns are fun ways to mix it up, but be aware that they will date your photo a little bit. Incorporating fun textures into your look will also add dimension. It’s ok if you can’t decide what exactly to wear. I would be happy to help you pick out the right outfit. All of my sessions include time for at least one change of clothing. Some of my seniors like to take a few of their senior portraits all dressed up and then we like to take a few shots in a more casual setting. Also with the beauty of the greater Seattle area is that we can shoot in such a way that it looks like we have traveled to multiple locations providing a large variety of portraits for you to choose from.